Two powerful industry leading brands—Link-Belt® and Syntron®—come together under Syntron Material Handling, LLC, for one goal — better engineered products. Established in May 2014, Syntron Material Handling was built out of the legacies of Link-Belt Company and Syntron Company, formerly owned by FMC Technologies. Today, its 300 skilled employees have a combined 4,212 years of industry knowledge that they put into the SMH product every day. Syntron is dedicated to providing customers with complete material handling solutions. 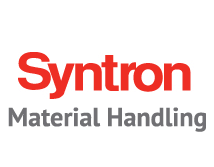 Syntron, headquartered in Tupelo, Mississippi, is a world leader in delivering innovative material handling solutions. For more than 100 years, Syntron has been at the forefront of conveying and vibration technology, providing exceptional performance and value in bulk material handling through our Link-Belt® and Syntron® brands. Syntron has a long history of providing bulk material handling solutions in a variety of markets including mining, aggregates, chemicals, packaging and food. Its equipment, systems and services help producers and processors improve their bottom line through increased bulk material handling productivity. The equipment line includes Link-Belt conveyor idlers, conveyor belt cleaners, underground mining and terminal equipment, screw conveyors, and bucket elevators, and Syntron vibrating feeders, screens, bin vibrators, flow valves, paper joggers and shaft seals. They also design and manufacture engineered products and systems for customer-specific applications.